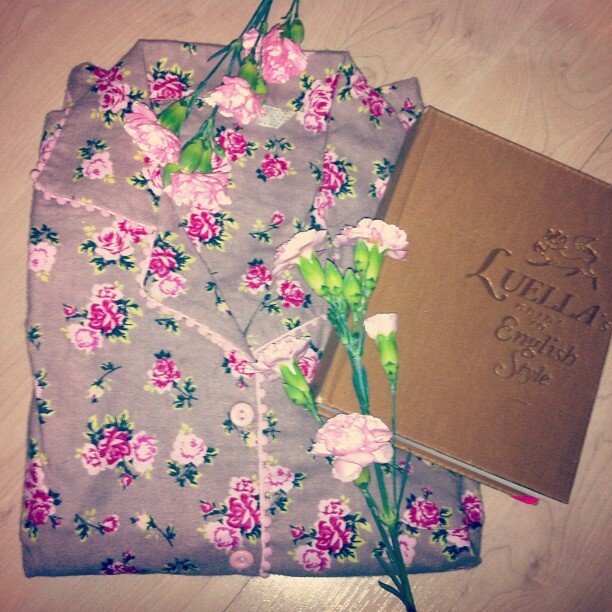 New pyjamas, brilliant bed time reading and pretty flowers. What more could a girl want? After being run off my feet all day I decided the best way to punish myself for my hard day’s work was to head straight to ballet… suffice to say my body hates me right now! But after being so busy all day it feels great to come home and snuggle up with a hot choc (with plenty of baby marshmallows) and read a book. I love winter. Previous Post it’s beginning to look a lot like Christmas..
Those pjs are adorable! I love floral nightwear. I also love doing just this on winter evenings when I'm home alone!